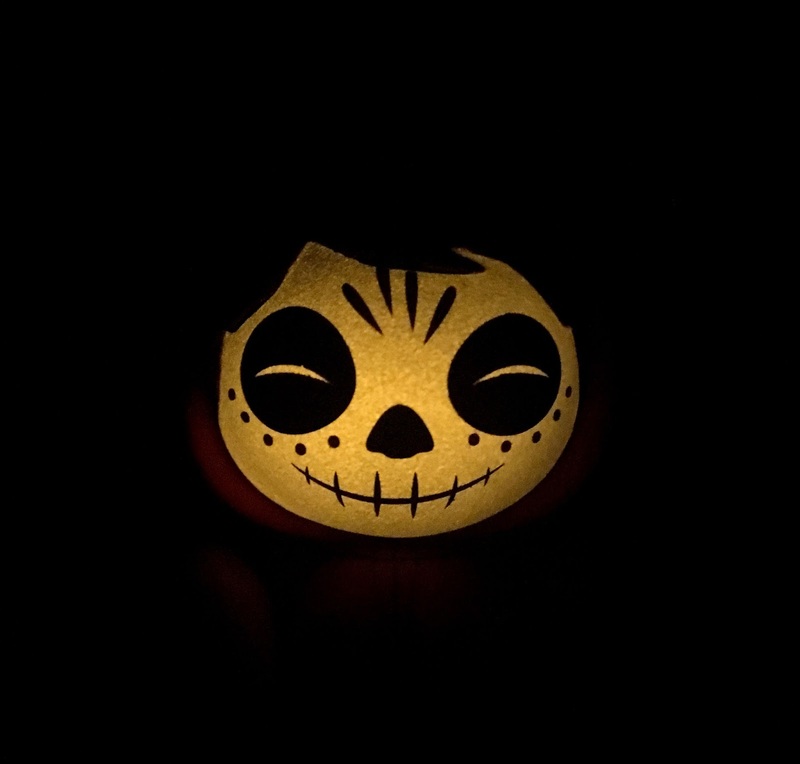 Today marks just two weeks away from the US theatrical release of Pixar's upcoming film, Coco! To celebrate, I'm taking a look at these two adorable Funko Dorbz vinyl figures that I picked up at Toys R Us not too long ago. Here we have Hector and Miguel—two of the film's main characters who I'm sure we'll all fall in love with! 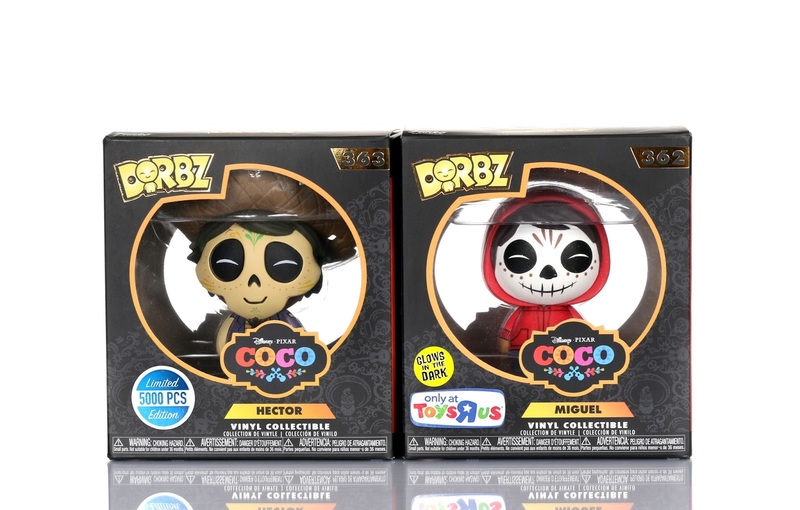 Don't they look especially cute in Dorbz form? Really well done stylized designs here as usual. 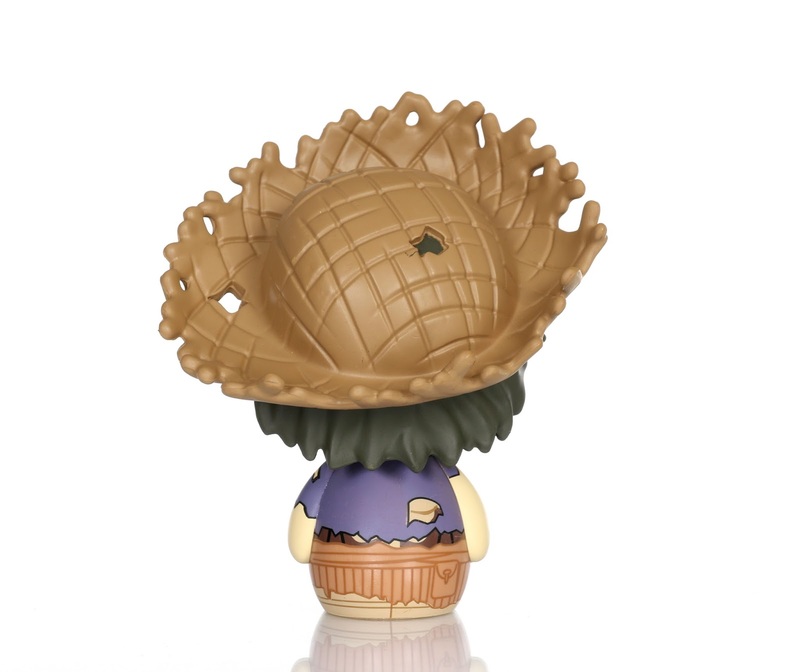 Funko, you never disappoint! 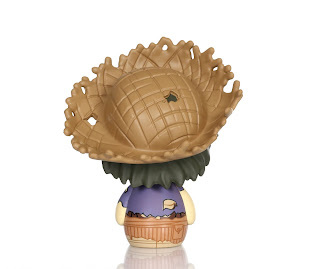 Each figure, per the norm with Dorbz, stands at about 3" tall and retails for $7.99. 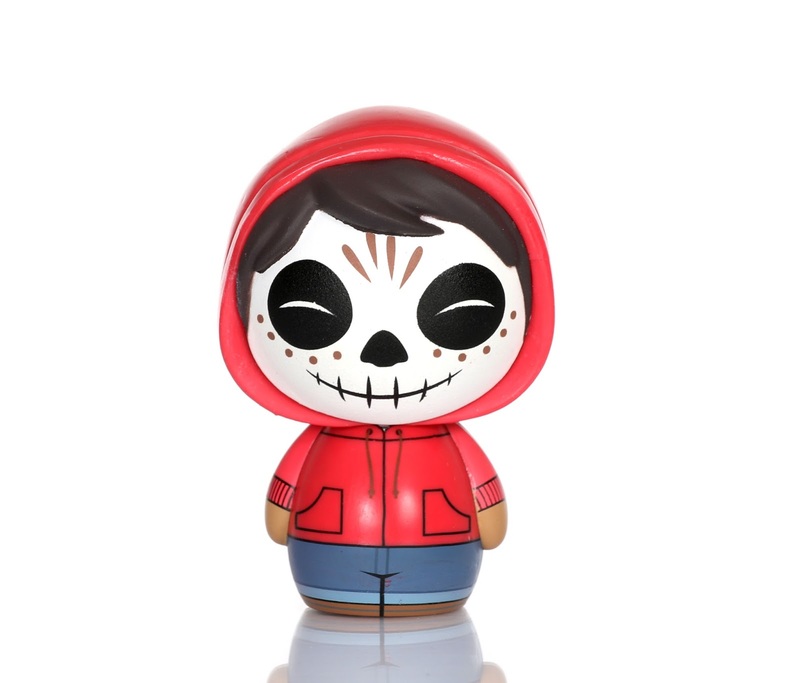 Hector, #363, is a limited edition (LE) of only 5000 pieces made. Now as far as Miguel, there are two versions out there. There's the standard version (which is also LE 5000), and a Toys R Us exclusive glow in the dark version. 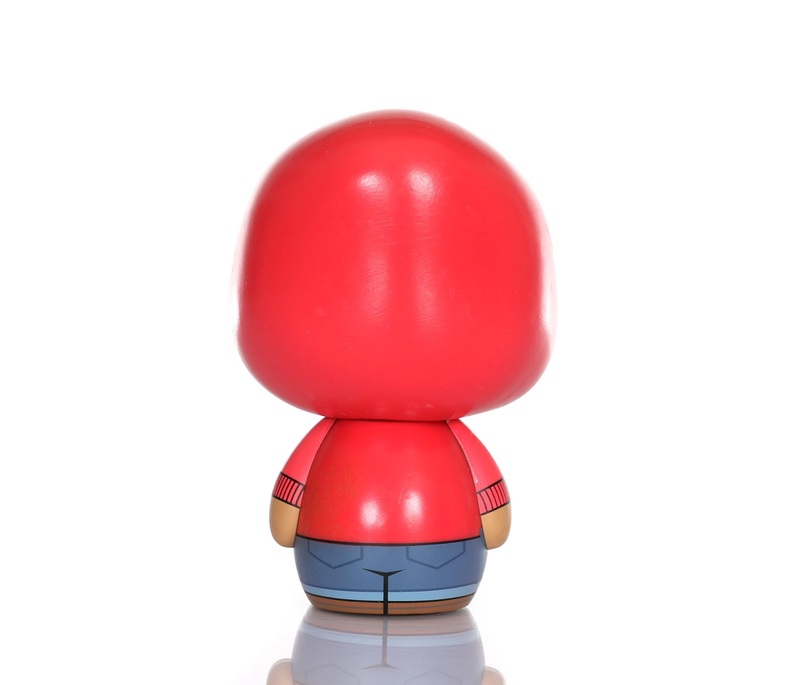 Both versions of Miguel are numbered #362. I opted to pick up only the Toys R Us exclusive version (which looks exactly the same as the standard)— the only difference is that this one has a glow in the dark face! 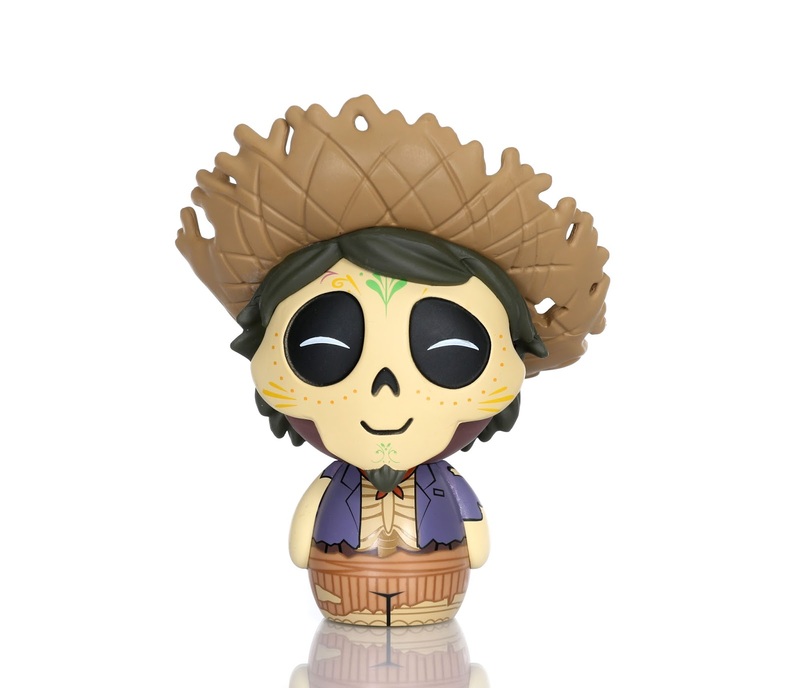 Though this Miguel isn't labeled "limited", I feel like it's just as (if not more) hard to find given that it's an exclusive to only Toys R Us stores. I couldn't justify getting both (since they're virtually identical), so I went with the one with the cool feature...and I'm glad I did! 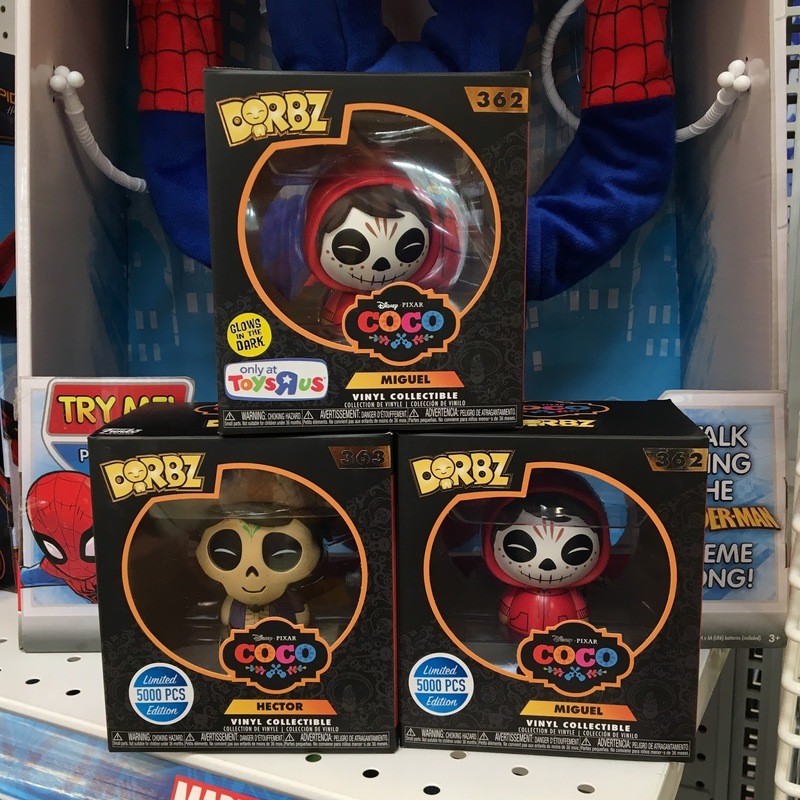 See all three Dorbz in the wild at Toys R Us in my photo below. Look at how bright and vibrant his glow feature is. Just hold his face up to a bright light for about 30 seconds to get these results! Between Hot Topic and Toys R Us stores, you should be able to find these! I can't recommend them enough for fans of the film. They just look too dang cool and super cute! Hurry in before they're gone. What are your thoughts? 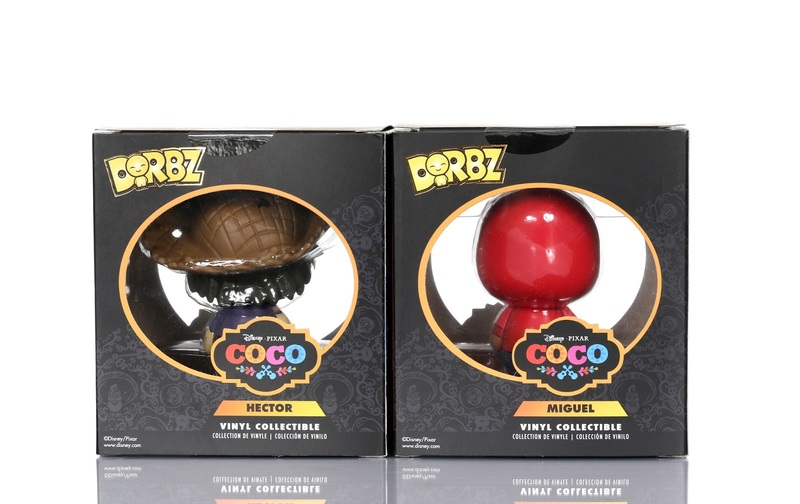 Have you picked any of these Coco Dorbz up? Which one is your fave? Let me know what you think in the comment section below.